What would you do if you run out of shampoo or cannot have one? 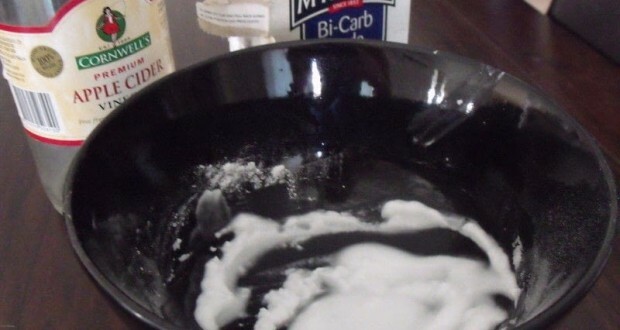 Have you ever considered using baking soda as a better alternative to your shampoo? Try it and you will be the envy of your friends because of the healthy glow and firmness of your hair. It is indeed a blessing for those that suffer from allergies and skin conditions that cannot tolerate shampoos because of all the chemicals in them. Try this way of washing before you by all the shampoos suggested by your dermatologist or hair stylist. They cost a fortune and still, believe it or not are no match to the Baking Soda. Not long ago people did not have shampoos to wash with. Have we ever wondered what did they use. Our grandparents sure had a good looking hair but in their childhood their hair was not washed with shampoos. Their parents have used water, vinegar and sometimes oil to comb easier. Baking soda was used for washing hair, teeth and skin as well. This article is about pure hair products and healthy hair care. Sodium bicarbonate indeed has a glorious place among all the chemical free products. Every day more and more the benefits of sodium bicarbonate are being revealed. It is used worldwide against cancer, high PH level, indigestion, cleaning different surfaces, intimate care and skin and hair care as well. The modern scientists are only confirming what our elderly knew long time ago. The great thing about Baking Soda is that when it cleans, it leaves the place spotless, and I mean sparkling clean. You will be amazed from the glow of your hair and your teeth. If you use it on your skin, it will act as a scrub from sea salt ,only milder.If you use it on your hair, please give it a chance to act because your scalp has remains of dust, shampoo, conditioner and dandruff. To be able to remove all that it needs at least a longer time of light massaging or repeated treatment at least twice in a week. In case you have chosen to treat your hair nicely with care, then Sodium Bicarbonate is the best choice. Your hair will glow giving you the long desired healthy look. You will be proud! The baking soda can be applied on a dry or wet hair. Apply on the roots and massage all the way to the end of the hair. Leave it for 3 – 5 minutes. Rinse thoroughly with water. After that apply vinegar rinse, let it work a minute or two and than just put a towel and let it dry slowly. Blow dry it if you must, if not the hair will look better. For a short hair – mix 1 – 2 tablespoons of baking soda with 3 – 4 tbsp of water. The vinegar is well known to give a super glow and easy combing to every type of hair. The smell wears of very fast, but if you don’t want to wait then you can use a few drops of lavender oil to make it smell better. 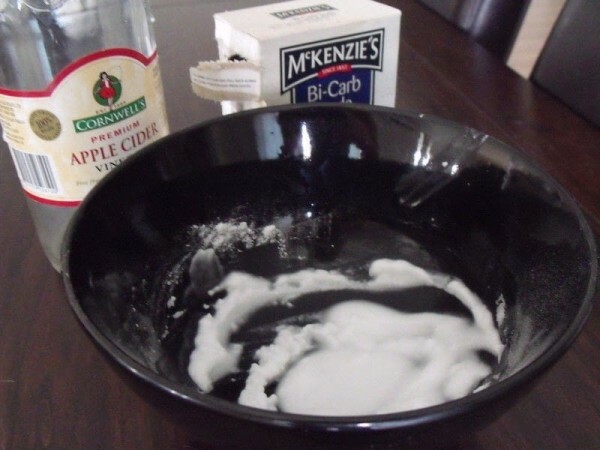 Use one part of apple cider vinegar and four parts water. Fill a bottle full enough to rinse your hair. Do this ahead of time and leave it in the bathroom. The bottle should have a small tight top or use a squeeze bottle if you will to prevent any eye contact.